As an individual, you are welcome to join our volunteer team. Your skills and drive to make repairs and/or help others learn how to repair are invaluable assets. For more information about volunteer positions please see our volunteer descriptions pamphlet. First-time volunteers can also read our “411” for new volunteers. 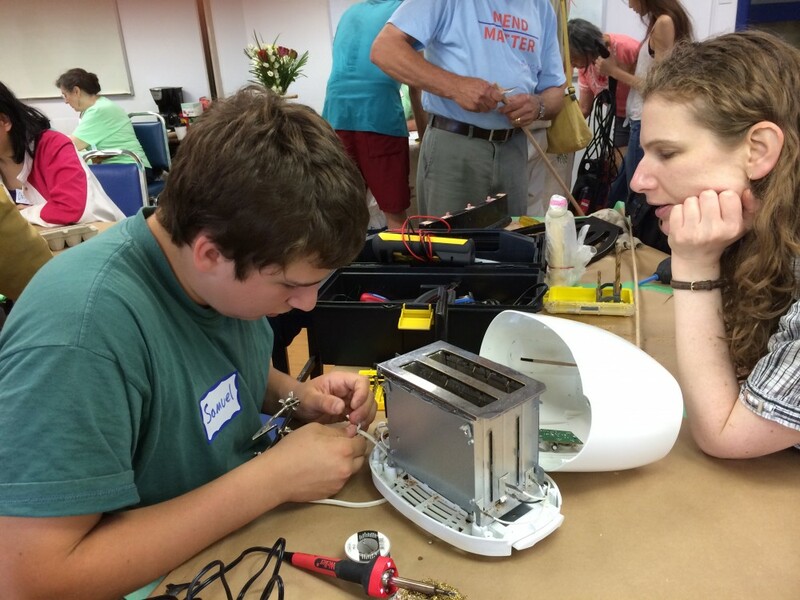 With your support, Repair Café Toronto can offer more free events in our community. As part of the global movement to invigorate repair of our broken stuff, together we make an impact. We not only reduce the amount of garbage sent to landfills but also support people to learn fix-it skills. You can support us, too, by giving a cash donation at one of our events. In addition, we appreciate donations of repair supplies and parts – glues, tapes, lubricants, switches, fuses, etc. As a business/organization, please consider supporting us as a sponsor. Both in-kind and cash donations are welcome. 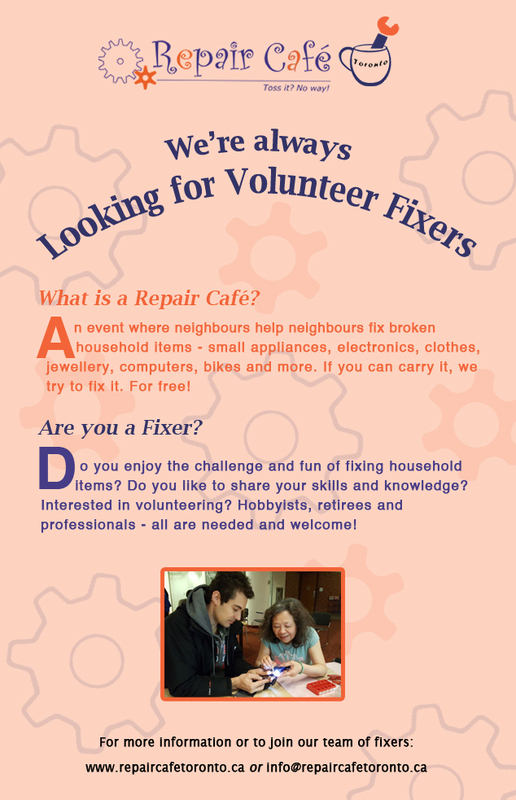 For further information, please email us at info@repaircafetoronto.ca. We look forward to hearing from you!